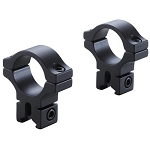 Solve all Scope Mounting Needs Here! EABCO KeyLock Magnum scope mounts for the TC Encore, Savage Rifle, Ruger 10/22 (including the 15 MOA base), and TC Contender G2 Scope Mounts. Hawke Magnum 30mm Red Dot Scope Sight-Closeout Price!